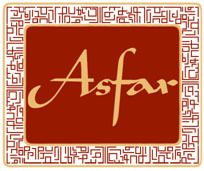 Through a range of interactive, informal and cultural-themed workshops and inter-communities activities, Asfar supports young people to learn about the their Human Rights, with particular focus on how Human Rights were established, what they mean to young people in the UK today, how Human Rights a viewed in other countries, especially in Middle Income states and the Global South and the effects on communities when Human Rights systems break down. In particular, Asfar uses Europe, especially Bosnia and Rwanda as country models, when Human Rights and communities have disintegrated. This feeds into our Refugee and Conflict Resolution learning models, where young people learn about people who are Refugees or are displaced from their countries, in order to promote a welcome community within the UK in order to ensure Refugees are supported, rather than disengaged. One activities example involves Young People being allotted a task where each participant is either a Refugee or a Government Refugee Caseworker and together they have to review a Refugee applicant’s situation and decide if they think they should be offered asylum. Activities such as this, provides a wider outlook to young people on our programmes, reducing community conflict, xenophobia and through our Youth Exchanges, promote an real inter-cultural understanding both about the necessity of Human Rights and the real issues Refugees and Displaced Communities are facing today.